Do you have a fussy eater that simple won’t eat? Perhaps your horse was previously a good-eater but has recently loss his appetite? 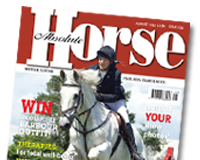 Within our July edition we explore he reasons why your horse may have lost his appetite and what you can do to remedy the situation.